All exhibitors must pass the Clean Air Council staff's inspection to ensure they are providing service, information or goods that are sustainable. The Clean Air Council's Greenfest Philly, the city's largest environmental festival, will return for its 13th year on Sunday, Sept. 9. Environmentally-conscious shoppers can browse more than 100 green businesses and organizations. All exhibitors are evaluated by the Clean Air Council to ensure they are providing service, information or goods that are sustainable. The festival, which is free to attend, usually draws a crowd of 15,000. The aim is to give the public a chance to learn about the most pressing environmental issues. 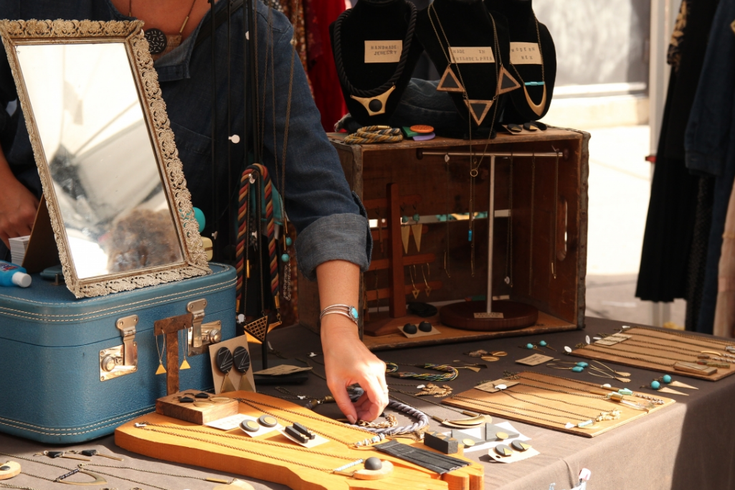 In addition to tons of eco-friendly goods, there will be free food samples, free yoga, vegan cooking demonstrations, a rock climbing wall for kids and a beer garden with live music. Attendees can also bring gently-used clothing, toys and books to exchange with others. Greenfest will be powered by solar panels and is a "zero-waste event," meaning waste will be composted or recycled. The event will take place on Bainbridge Street, between Third and Fifth streets. For those who bike over, there will be a complimentary bike valet on Fourth Street.